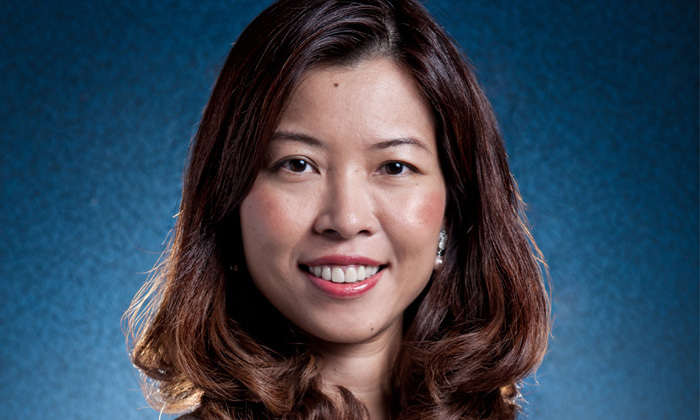 Ng Ling Ling, managing director at Community Chest and group director of fund-raising and engagement for NCSS, took a leap of faith, moving from the financial services industry to the fund-raising and engagement arm of National Council of Social Service. She talks to Aditi Sharma Kalra about following her passion, and a vision to bring out the best in the human spirit. Tell us about your journey to working with Community Chest? I joined the National Council of Social Service (NCSS) in 2001, after taking a leap of faith to switch from the financial industry to an area that I have had a passion for since I was young. Over these 13 years, I have had the pleasure of experiencing different aspects of social service sector work, from setting up charity board governance standards; pioneering the training school under the Social Service Institute; administering over $300 million of public and private funding to charities; to strategic planning for NCSS. Since last year, I’ve been leading the fund-raising, community outreach, and engagement efforts under Community Chest to connect more companies and people to contribute to the less privileged in our community. While I am generally a more task-oriented and objective-driven leader, I have learnt from many humbling experiences to put people first. When people are motivated and cared for, I have seen them perform way above their expected potential. I joke with friends that the sector has transformed me to a gentler social worker at heart, though my accountancy and financial background will always keep my head focused on goals, outcomes, and numbers. Through the years, be it developing partnerships to mount training programmes for the up-skilling of the social service sector’s capabilities, crunching numbers to ensure optimal allocation and accountability of funds for charities, or trying to touch hearts and encourage involvement from donors and volunteers in the lives of the disadvantaged, the vision that propels me to press on is that everything is done to bring the best out of the human spirit, be it from the ones rendering help or the ones receiving help. The vision that propels me to press on is that everything is done to bring the best out of the human spirit, be it from the ones rendering help or the ones receiving help. What is the toughest decision you’ve had to make as a boss, and what did you learn from it? I feel it is when I defend or keep the job for a co-worker who is unable to perform at his or her best under circumstances where their lives have taken a toll on them, yet I need to be fair to the rest of the team who is carrying a heavier workload. In this sector, we encounter co-workers who are talented and competent, but may be facing difficult circumstances – be it caring for an aged parent with dementia, or a child with special needs, or struggling with single-parenthood. I guess that is why they join us in the first place – because they can relate to the causes and people we are serving. I learnt that we must first care for those around us, before we can extend to care for others. When you’re struggling with stress or a bad day, how do you unwind? I switch my mind to focus on what has longer term value, like family and health, and re-tune my mind to see the temporal nature of stress. Talking to or reading a children’s book with my seven-year-old boy also helps me remember simple joys in life and puts my priorities in perspective. A hearty meal or a romantic comedy often does quick healing on a bad day. I try to pace down first to ease the pressure the staff feel. Speaking in a gentler tone, I will try to help the staff see that it is not the end of the world when something cannot be done or work gets very complex. I like to share stories of how I overcome challenges through my experiences, but I often find a listening ear and willingness to support are what the staff needs at such instances. I also find it a responsibility as a leader to find resources and seek solutions where I can walk the talk of rendering practical support to the staff. I learnt that we must first care for those around us, before we can extend to care for others. What is your view of HR as a function, and how it it contribute better to organisational goals? I have high regard for HR management and respect for HR professionals. I see effective HRM as the cornerstone for any successful organisation today – the ability to identify potential, develop people, motivate, and sustain their energy and contributions to deliver results while feeling cared for by the organisation should be paramount in every leader’s personal development priorities. So, in your opinion, can HR leaders rise to the C-suite level? If an HR leader is able to understand and be very familiar with the work of the organisation and is willing to continually learn, be humble yet courageous to take bold and creative steps to contribute towards the organisation’s strategy formulation and execution, he or she will certainly be able to rise up to be a good CEO. What was your most memorable moment working at Community Chest? I have been privileged to be given several opportunities to pioneer new work and acquire new knowledge about the non-profit sector locally and internationally over the years. I learnt how to bridge and connect people with common goals to improve lives for those we can extend a helping hand to. As the fund-raising and engagement arm of NCSS, Community Chest started spearheading a national care & share movement since late last year to rally more donations and volunteerism, with the aim of ushering in the 50th year of independence for Singapore in 2015 in a meaningful way for the disadvantaged in our midst. I find it significant to be able to contribute this way in a historical moment of our nation and community building. I know the experience of leading this national movement will be an indelible memory for me.